Text Mining, Analytics & More: How to Get Access to the UMLS Metathesaurus? 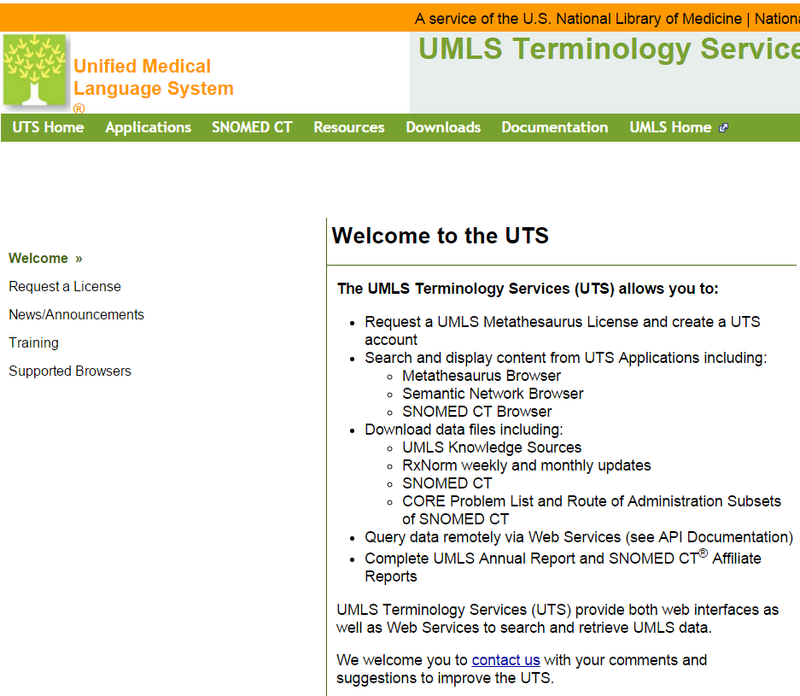 How to Get Access to the UMLS Metathesaurus? 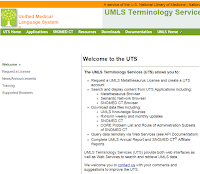 The UMLS Metathesaurus is a repository containing millions of biomedical and health related concepts, their synonymous names, and their relationships. You can think of it as a meta-dictionary (dictionary over over dictionaries), pulling in classification systems and dictionaries such as ICD-10, ICD-9, SNOMED, RxNORM, Mesh and many many more. The Metathesaurus has over 150 dictionaries/classification systems. 1. Fill up an application form here: https://uts.nlm.nih.gov//license.html . This is reviewed by someone so, make sure you fill this form up correctly. 2. You will receive a confirmation email and after several days, and you will be given access if approved. 3. You can then sign-in and you will have access to the entire database. Note that you will have to renew your license annually. Once you have access, to start exploration I would recommend that you start with the SNOMED CT browser (which is a subset) and then move on to the UMLS Metathesaurus browser (which is basically the meta-dictionary).